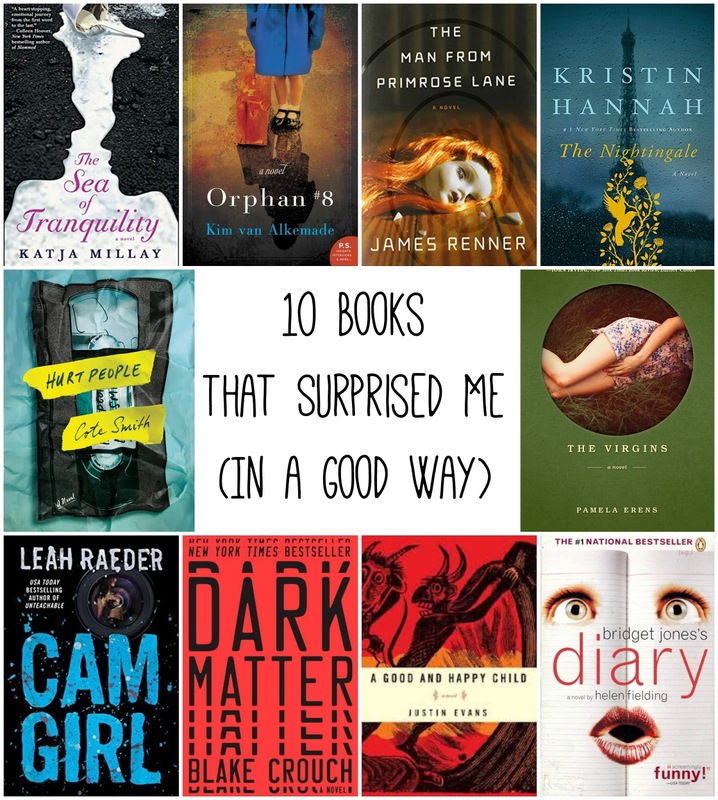 I kind of went back and forth with myself on this week's Top Ten Tuesday topic -- I couldn't decide if I wanted to talk about books that pleasantly surprised me or books that really disappointed me. I finally settled on the "good" list for a couple of reasons. 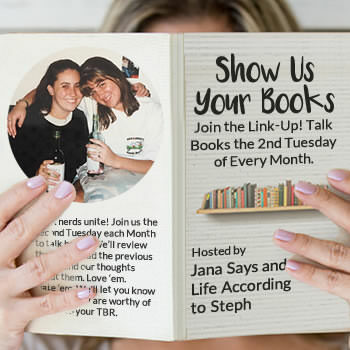 My second, and probably most important, reason for choosing to share books that pleasantly surprised me is that I wanted to talk about the importance of branching out and reading books that may not be what you'd typically go for. While a few of these fell into my favorite genres, several of them didn't -- and it was a bit of a stretch for me to get past that and pick them up. Obviously I'm glad I did. I'll admit it: for a long time, I was kind of a snob when it came to books that fell under the young adult genre. I thought they would be too juvenile and too light-hearted for me. While that's true in some cases (I continue to be very selective with my YA choices and even still they tend to be very hit-or-miss), that was definitely not true for The Sea of Tranquility. This book was beautiful and heartbreaking and I cried over it more than I'd care to admit. It was the first YA novel I've ever given a five star rating, and I'll never stop recommending it. Historical fiction is a genre I don't normally gravitate towards. I don't know what made me put this book on my "To Read" list initially, but I'm so glad I did. I learned so much about a particularly horrific part of American history that I previously knew nothing about. I'm a huge fan of entertainment that could be classified as a "mindfuck," and this was no exception. What surprised me about this book, though, was just how much I enjoyed it. It had elements from many different genres, some which I typically love (thriller, crime) and some I'd usually pass on (science fiction) ... And somehow they twisted together perfectly to create a captivating story. James Renner also included references to some of my favorite bands and musicians (Neutral Milk Hotel, The Decemberists, and Tori Amos), and I get weirdly excited about things like that. The Nightingale pretty consistently received really high ratings and glowing reviews, but I was skeptical. Obviously it falls under the historical fiction genre (which, as I said, isn't usually my thing), and sometimes when I have really high expectations for a book, it fails to live up to them. That was definitely not the case here. I fell in love with the characters, I was completely captivated by the story, and I sobbed hysterically over the ending. I loved it so much. Although this book sounded like something I would really enjoy, I didn't expect to like it as much as I did. It's definitely a "slow burn" kind of thriller (as opposed to a fast-paced page turner), but I couldn't seem to put it down. I was torn between wanting to know how everything played out and never wanting the book to end. I didn't expect this book to make me feel so many strong emotions, so I was definitely surprised when it took hold of me and wouldn't let go. The writing was beautiful, and the story stuck with me. It seems to get mixed reviews on Goodreads, but I really liked it a lot. I shared a quote from this book for last week's Top Ten Tuesday, and it's a perfect example of why I loved this book so much. I'm going to be honest: I really wasn't expecting much from this book. It sounded interesting enough to end up on my "To Read" list, but I thought it would probably just be an okay book that I'd like but not think about after it was over. I'm glad I was wrong about that! This book broke my heart over and over, and I still think about the beautiful, lyrical writing and all of the things it made me feel. I never expected a book with a title like Cam Girl to move me so deeply. I mentioned earlier in this post that science fiction isn't really my thing. This book had been given so many rave reviews, though, that I decided I had to read it. And you know what? It totally deserved all the great reviews. It was fast-paced and exciting (I read it in a couple of days), and it also had some elements that really tugged at my heartstrings. This is one of those rare books that I think most people would like. I read this book before I started using Goodreads regularly in 2015, but I would have rated it five stars if I'd been tracking my reading and ratings at the time. While I wasn't surprised I liked it (I'm completely fascinated by the idea of demonic possession, so this was my type of book), I was surprised by the beautiful writing and the fact that it actually scared me. I read/watch a lot of things that are considered scary, but few have gotten into my head the way A Good and Happy Child did. To this day, it's the only book that has ever given me nightmares. And, while it probably sounds kind of weird to say that I liked that, I did -- if I'm reading a "scary" book, I want to be scared. And if a book makes me fear something so much that it begins to infiltrate my dreams, it's a success. I read this book back in college, which was way before I started using Goodreads in 2015. (I think I read this in 2004. I'm old.) Chick lit is another genre that I typically don't go for -- I'm not a light-hearted, fluffy, cutesy kind of person and I (usually) don't want my books to be those things either. I don't know if I just read this book at the right time, but I loved it. It cracked me up so many times, and opened me up to reading other books in this genre. While chick lit still isn't really my thing, I've read at least a few books I really liked in this category thanks to Bridget Jones's Diary. If I passed on every single book that didn't sound like something I'd enjoy, I'd never have bothered reading many of these. I sometimes choose books outside my reading comfort zone based on the recommendations of others. I also sometimes choose books outside my reading comfort zone to fulfill a certain category in a reading/book challenge. And sometimes I actually decide to branch out on my own. Sometimes the books work for me, and sometimes they don't. The point is that I gave them a shot in the first place.